"Are you going to Alcatraz?" a friend asked when I told her about our upcoming San Francisco trip. "Of course," I said, knowing full well that I hadn't thought about it. I listened as she shared her experience of visiting the famous prison, now a National Park. 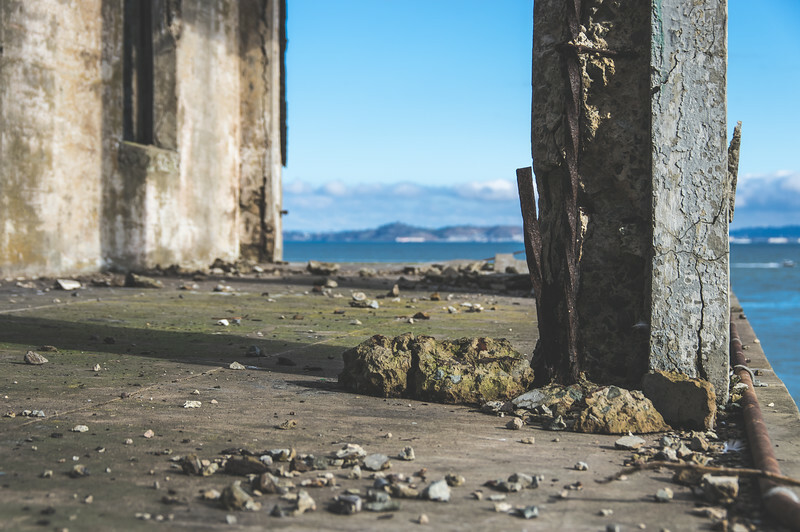 She described feeling incredibly torn, saddened by the decay of the grounds and buildings but thankful that prisoners are no longer subjected to the torturous experience of life on Alcatraz island. My interest had been piqued by the conversation with my friend and the history of the island. The next day I booked my ticket for the Alcatraz tour. I was heading to San Francisco with a friend and would spend a few days by myself wandering through the streets of San Francisco. I knew I wanted Alcatraz to be part of my adventure in the bay city of San Francisco, so I made sure to get my tickets a head of time. 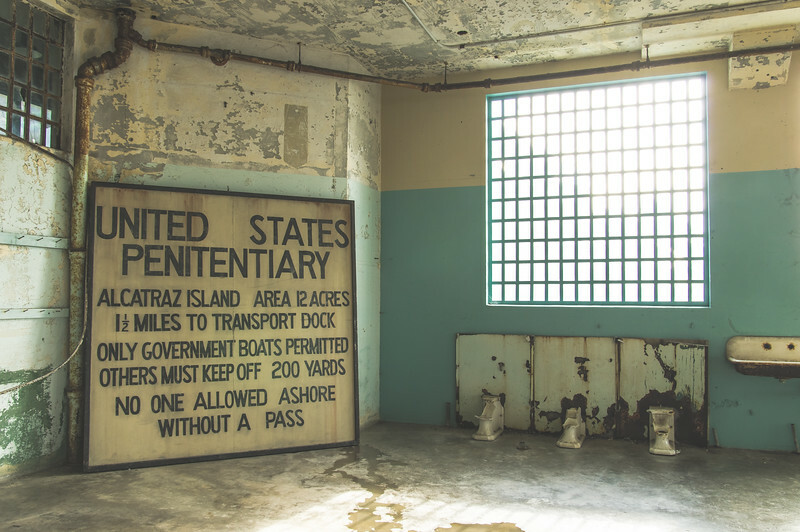 From 1934 to 1963, Alcatraz Island was home to the Alcatraz Federal Penitentary. During that time the prison was home to some of the most notorious criminals, including Machine Gun Kelly and Al Capone. 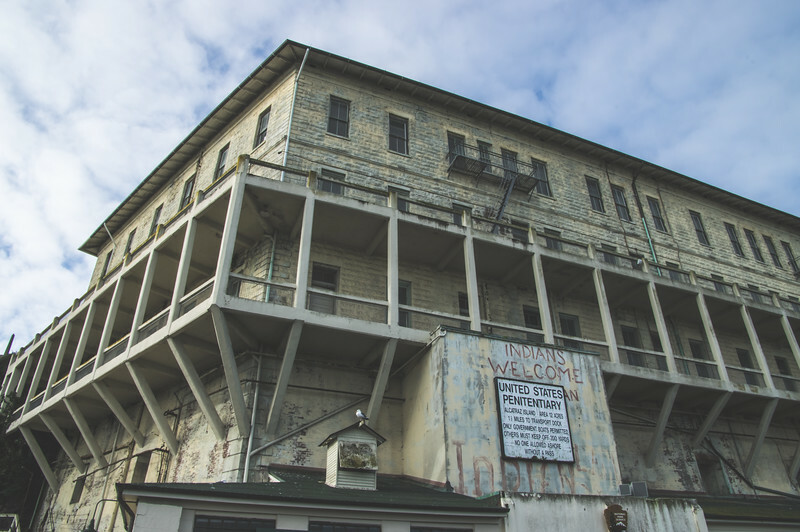 Also known as The Rock, the prison sits only 1.25 miles off the coast of San Francisco, yet it's notoriously difficult to escape. 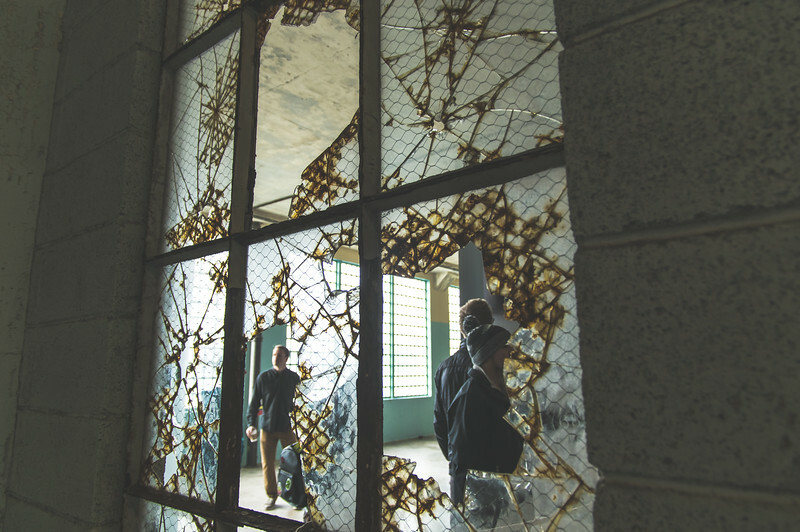 The prison was closed in 1963 due to the cost to maintain the decaying facilities; it would later become home to a group of Native American protestors for nearly two years in the early 1970s. In the mid 1980s, the prison and grounds became a National Historic Landmark. Tours are now available as part of the National Park Service's Golden Gate National Recreation Area. I purposefully booked our Alcatraz tour on the last day of our trip; he would be free and had expressed interest in going to Alcatraz. 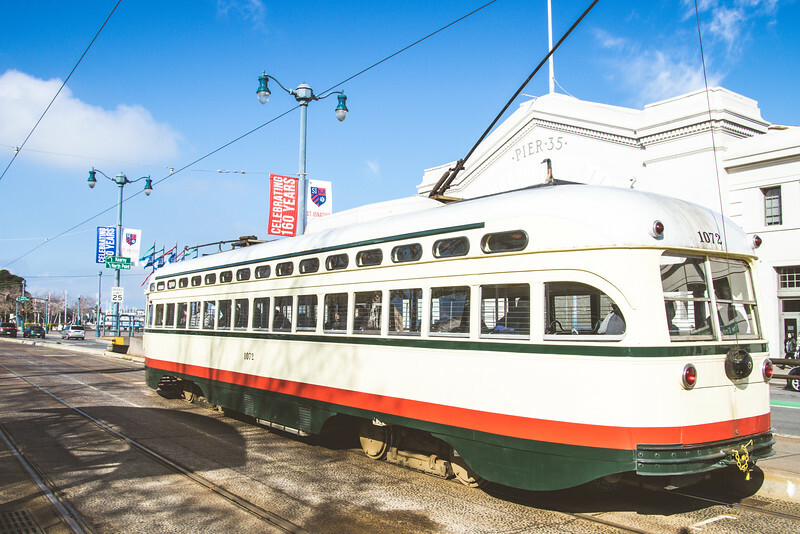 After packing our bags and checking out of our hotel, we hopped on a tram toward the Embarcadero to catch the boat for Alcatraz. The lines were long despite the early hour. 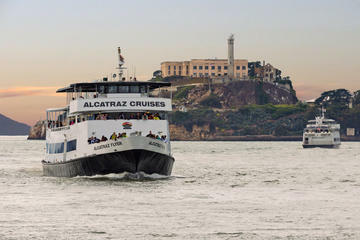 It was evident that going to Alcatraz is one of the most popular San Francisco attractions. Luckily, we had booked ahead; our timed tickets ensured that we didn't have to wait long for our turn to board the ferry to Alcatraz. After a quick promo picture, we were on our way. Slowly, the ferry going to Alcatraz left the wharf; the seagulls cried overhead as the swarmed over the churning water, hoping to catch a snack. I wondered briefly if this was the prisoner's experience of leaving San Francisco? Had they been allowed to stand on the deck and watch the city shrink as they made their way for their final destination? We landed after a short ride across the bay. The captain made a quick announcement overhead about the importance of safety. After queuing up to disembark, we found ourselves standing on the grounds of Alcatraz, watching the ferry inch away back toward San Francisco. One could easily imagine the fear of feeling stranded on this godforsaken island must have been for the prisoners, with all of San Francisco watching from across the Bay. After an introduction by the Parks staff, we began our tour of Alcatraz with stories of the island's history, famous residents, and infamous occupations. The knowledgeable docents were full of tales about the island, pointing out places of interest every step of the way. Signs of the 1970's Indian occupation of the island are still apparent, momentarily drawing our attention away from the decaying structures. 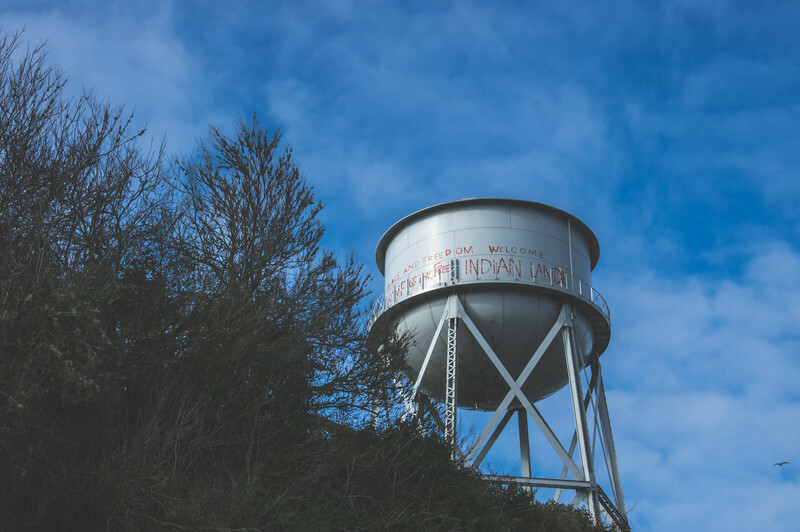 Standing below the iconic water tower tagged with Native American pride, the history begins to stick to your feet. Inching our way through the grounds, we took note of just how close San Francisco seemed to be. We were dumbfounded at how inhumane Alcatraz must have seemed for the prisoners. Glittering and full of life, San Francisco sits just across the bay. The docent told stories of men who'd attempted to escape by swimming for the shores of San Francisco, lured by the hum of voices and music that could be heard on clear nights. For a minute, I could imagine how hard it must have been to be sentenced to life in this hell. The psychological warfare that played out every day in the yard while the prisoners were at the mercy of the breathtaking vista would have been too much for me. It seems like an evil trick to play, even on the evilest of beings. The crumbled structure was equally as intriguing, though. I found myself taking shot after shot of the decay, trying to capture the effect of time on the once magnificent structure. 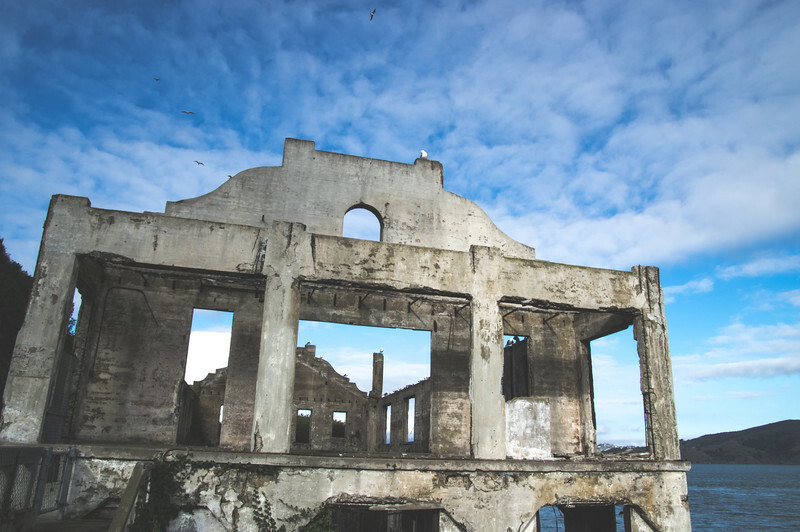 It was as if the structure embodied all the history of the men and women who lived here, heavy from the weight of weathering the storms of sad stories. As we entered the famous prison, the experience of Alcatraz heightened. 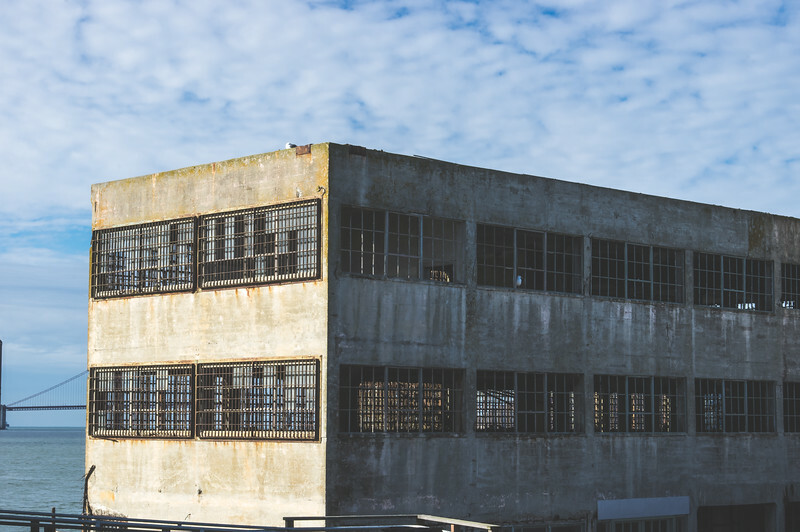 Clanging doors, echoing chambers, and bone-chilling cement hallways bring it all home; Alcatraz was home to the most hardened of criminals. Our headsets, included in the price of the tour, guided us through the prison, pointing out cells were infamous characters once wiled away their time. Standing among the cement blocks that once held hardened criminals is jarring. Our tour ends in the mess hall; the sad, small room saw its fair share of food fights and fist fights. It's now home to the bookstore and gift shop. A former resident of Alcatraz, now turned author, sits at a table signing autographs of his tell-all autobiography. I'm proud of him for being brave enough to step aboard a ferry going to Alcatraz again; I couldn't have done it. Could you? need more San Francisco Travel Tips? 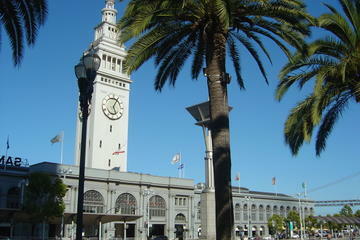 Want more information about things to do in San Francisco? Lucky for you I've got all the details on how to make your time in the City by the Bay memorable. 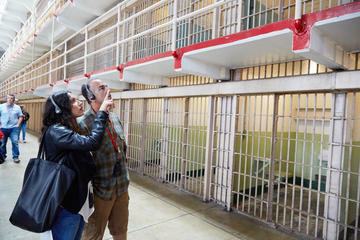 Going to Alcatraz is one of many amazing things to do in San Francisco. 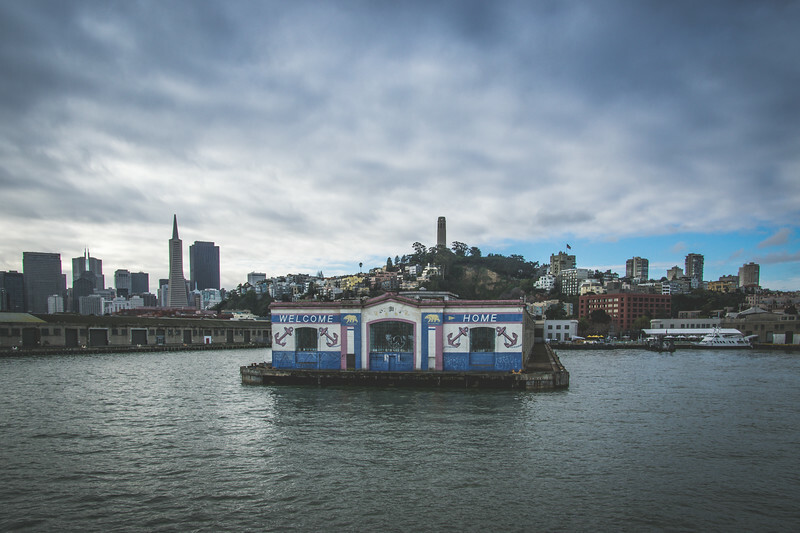 Check out my list of the top 10 San Francisco attractions to get your trip planning started. And don't miss my tribute to the Street Art in San Francisco's Mission District. Foodies can follow in my footsteps as I retrace all my best San Francisco meals. And those looking for my honest opinion on San Francisco's streets can check out my op-ed on the gentrification of San Francisco's Mission.